Finding the perfect shapewear to tighten your tummy can be key to feeling good all day. 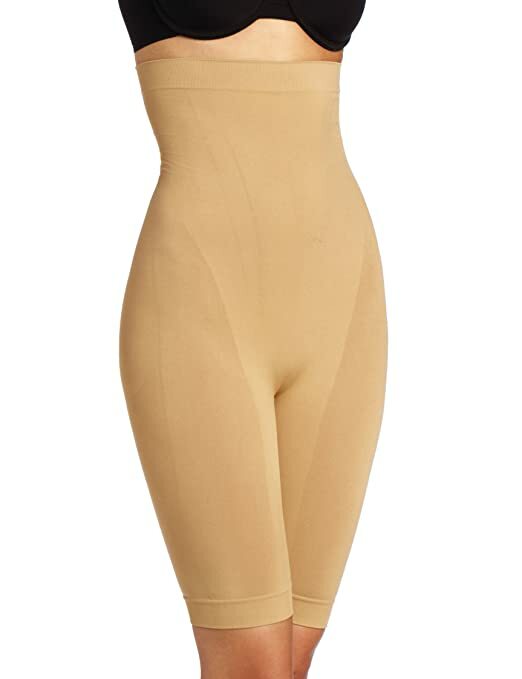 Tummy targeted undergarments work really well with slim fit high-waisted pants, tailored suits and fitted dresses. Many products feature power mesh panels to give you a smooth, tight tummy and are comfortable and light enough to wear all the time. For most, the hunt to find great-fitting shapewear that’s affordable and stylish is no easy task. From the right fit to comfortable material, there are several details to pay attention to. So what’s the easiest way to figure out what’s right for you? Do your research. Simplify your process by reading comments and reviews. We did the digging for you this time and hunted down the best tummy solution shapewear available on Amazon. We’re sharing nine options that are high quality and affordable. Keep reading to see the shapewear with the highest Amazon ratings.